I’m always a little scared of anything creamy for the face with ‘bronze’ in the title. I just end up worrying about my white neck. 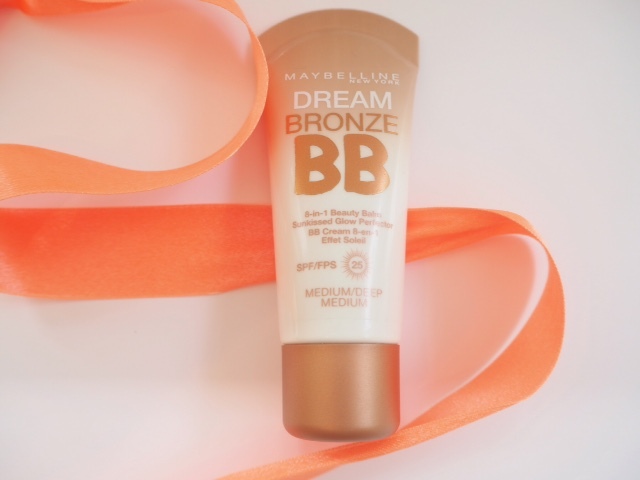 However the Maybelline Dream Bronze BB tempted me in because I love BB creams and it’s got SPF25. 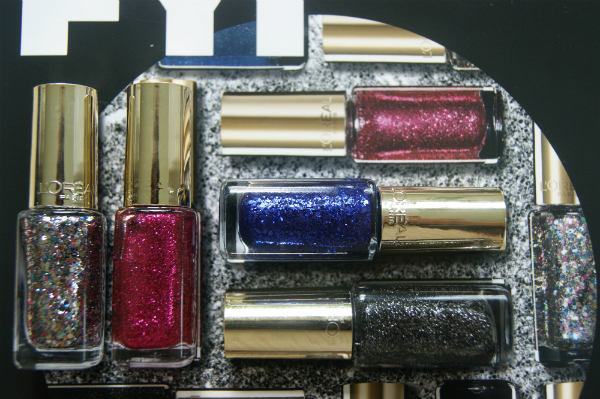 It’s got an 8-in-1 claim which I tend not to take too much notice of – but the promise of a warmer skin tone with some complexion tone evening had me at hello. 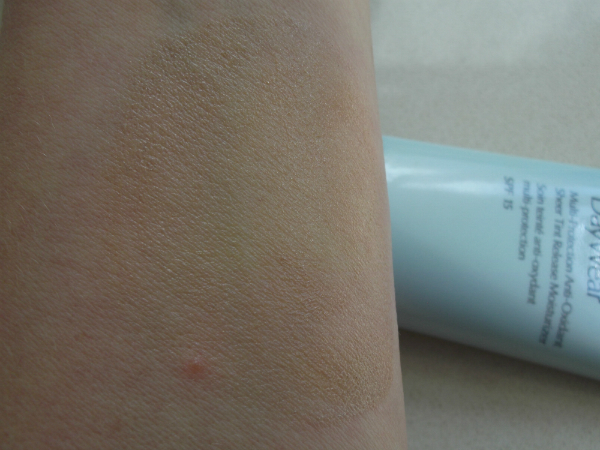 I’ve swatched the darker shade, although there is a light shade too, and you can see that it comes out exactly that scary colour that makes me panic about my neck! 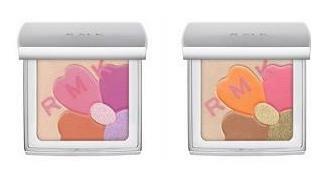 But, it’s quite a fluid and creamy formula so blends beautifully down to a tan-tint. I used mine this morning and blended it down my neck partially – it feels very moisturising so it’s easy to do that – and it wasn’t in any way obvious. 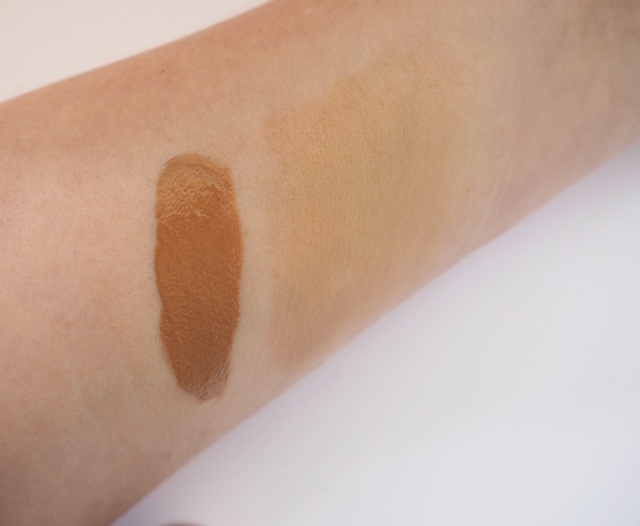 On my face, Maybelline Dream Bronze BB did warm and deepen my tone but without looking ‘made up’ – it’s a very natural finish and lets your skin show through. As for the tone evening – yes, it did that to a certain degree, but the claim to *veil imperfections* didn’t materialise. 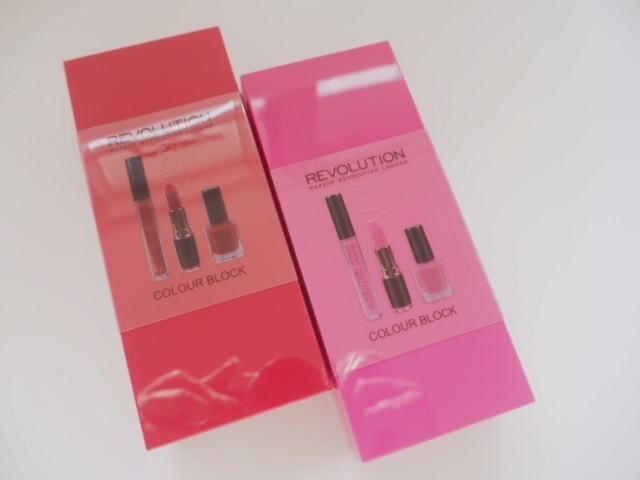 I have pigmentation on my face which I really don’t mind at all; I think I’d count that as falling under the beauty industry speak version of an imperfection and didn’t see any veiling at all really. Bearing in mind that I use Garnier BB almost daily for my dog walk first thing, I can easily see that as summer kicks in I could swap to Maybelline Dream Bronze BB. 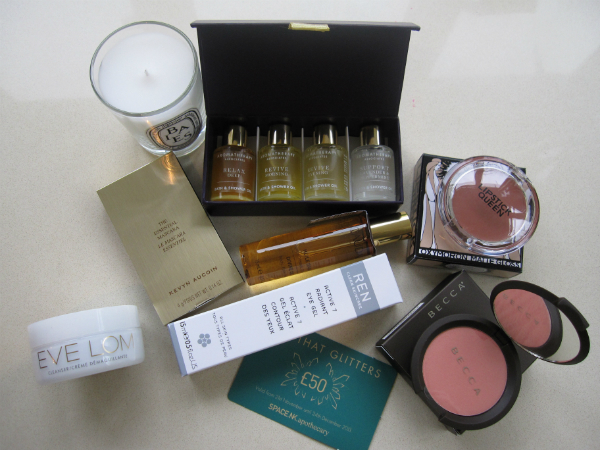 It’s the end of the day now as I write this, and my skin still feels nicely hydrated. 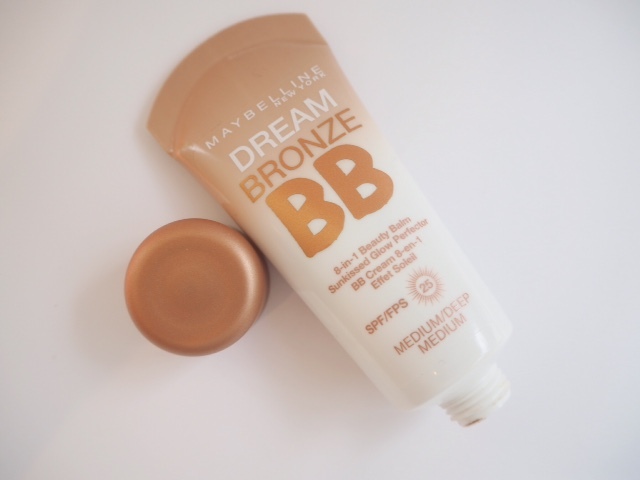 Maybelline Dream Bronze BB has launched on Superdrug for £6.99 (but two for £10) HERE.